Welcome to the State recognized Georgia Tribe of Eastern Cherokee website, also known as the Georgia Cherokees. We hope you enjoy your stay and will return often. Bookmark this site now. The Georgia Cherokee's primary area of residence is in North Georgia, north of the Chattahoochee River, which comprises the original area occupied by their Cherokee ancestors prior to the forced removal of many of their kinsmen in 1838, known as the infamous Trail of Tears. 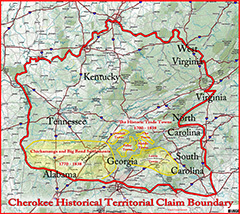 This area is made up of thirty-one (31) north Georgia counties comprising the greater portion of the Cherokee Nation prior to the removal. This area of Georgia contains the last Capital of the Cherokee, New Echota, located in Calhoun, Georgia, the home of the original Cherokee Phoenix newspaper, the famous Vann House built by James Vann (a great leader of the Cherokee people), the home of John Ross (the principal Chief at the time of the removal), Major Ridge and his son, John Ridge,Elias Boudinot, Nancy Ward, Sequoyah (George Guess), Six Killer, and a score of the former most prominent and notable members of our great Cherokee Nation. The story that ALL Cherokees were removed in 1838 is a myth... even though it was a horrible event and many thousands of Cherokee died. Many whites came into the Cherokee country of north Georgia for over 35 years prior to the federally mandated removal of 1838. A large number came as gold miners and fortune seekers as a direct result of the State of Georgia sponsored Cherokee land and gold lotteries, which were held a full decade prior to the 1838 removal and designed to facilitate conflicts. Most of the early settlers were single white men who married Cherokee wives and many produced large families of mixed blood children; consequently, those families of mixed heritage having a white as the head of household were exempt from the forced relocation and were in fact NOT removed as history has led most to believe. The whites that did travel west with their families did so voluntarily; however, thousands of mixed blood families remained in Georgia and the other southern states. The story that only a small group of people that hid out in North Carolina were the only remaining Cherokees left in the Southeast is simply not correct. Yes, a small group was left in North Carolina, but they were aided by those sympathetic to their plight and with the permission of that State. Over the years many mixed blood Cherokees and those full bloods who escaped removal by taking refuge in the mountains of north Georgia did eventually migrate to the area which is now Cherokee, NC (also known as the Qualla Boundary) and current the home of many of our kinsmen - the Eastern Band of Cherokee Indians. For this reason, a large number of Qualla Bounday residents still trace their ancestral roots back to the Georgia area. Our mission is to help and assist people of Cherokee descent and the general public in learning about and preserving the history, culture, and traditions of the Cherokee people, especially in Georgia. Our goal is to build and establish a modern-day museum, council grounds, and audio visual learning center for all Georgians and visitors to learn from and enjoy the history and culture of its Cherokee people, learn about our past and present, to know more about the Greatest Indian Tribe in North America, and why we are most oftern referred to as one of the original five civilized Tribes. This website will be devoted to those goals and will attempt in assisting you in your visit in learning more about the Cherokee people. 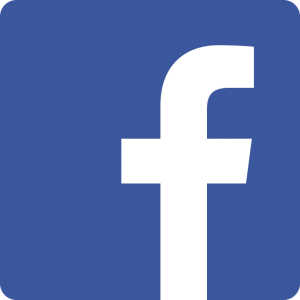 We have included many learning LINKS, check them out. Our portion of all sales made through this site go towards achieving Our Mission.